Nothing livens up a room like the lush dark green leaves of the schefflera plant. 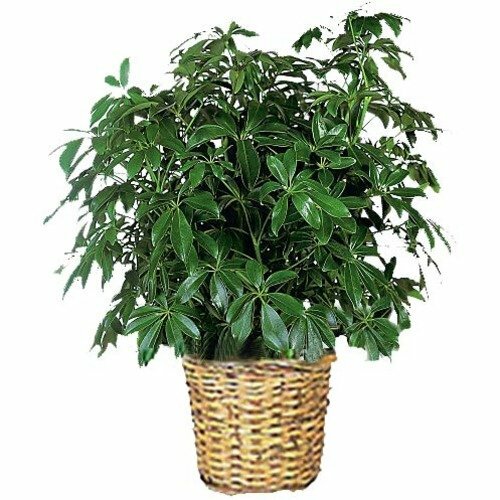 The schefflera is an excellent choice to put in your home or office. * Great site very happy with service and quality of items. Well done. * I greatly appreciate how fast 1st in Flowers filled my last-minute order and had it delivered timely. When I called to confirm they would be delivered, the rep was polite, understanding, and I think she truly felt the importance of a timely delivery. The flowers were beautiful.